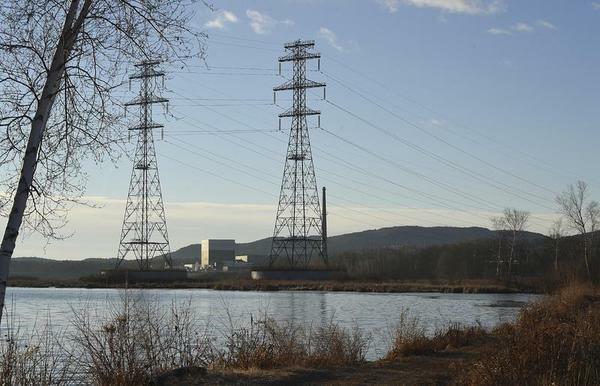 When the Green Mountain power company, Vermont’s largest utility, announced earlier this year it will be buying nuclear power from New Hampshire’s Seabrook reactor, many environmentalists felt betrayed. “This is exactly why we closed Vermont Yankee, because we didn’t want any nuclear power,” they complained. But consumer demands left Green Mountain with no other choice. Nuclear is the ultimate reliable source of power – reactors operate more than 90 percent of the time – and Green Mountain needs back-up in case other sources stop working or if demand exceeds supply on a hot summer day. Vermont is struggling with its desire to be clean and green. The state closed down Vermont Yankee, which provided 600 megawatts of power, when public opinion against it became overwhelming. The state only consumers 1100 megawatts on the hottest day. Along with the shuttering of the state’s largest generating station came dreams of windmills, solar collectors, and other “clean and green” options that would soon be taking its place. Like many other states and nations, Vermont has assumed that passing laws mandating renewable energy quotas will solve the problem. The state has set a goal for itself of 55 percent renewables by 2017, 75 percent by 2032 and 90 percent by 2050. The figure now is 17 percent. But like most other players, the Green Mountain State is finding that those goals must be tempered and sometimes outright abandoned. To date the most widespread initiative for switching to renewable energy has been importing hydropower from Quebec. The Canadians are proposing two cables that will run beneath Lake Champlain, one to southern New England and the other to New York City. Burlington and other Vermont cities would probably feed off of this. Other attempts to go green have met with indifferent success. Several proposals to put windmills atop the Green Mountains – the obvious place for them – have been shouted down or stalled by local objections. An early attempt to put a new wood-burning plant right across the Massachusetts border was also quickly defeated – it would create air pollution. The project was also dampened by a Massachusetts study which concluded that burning trees for energy would soon exhaust the state’s forest resources. Burlington claims to be the first city in the country to have achieved 100 percent renewable status, although these claims are open to debate. The city’s main source of electricity is the Joseph C. McNeil Generating Station, which was recently converted from coal to wood. The Burlington Electric Department (BED) claims that 75 percent of the wood comes from within 60 miles. This is considered renewable in that trees regrow, although the amount of carbon thrown into the atmosphere has been shown to exceed that of coal. Also, once they are harvested, trees regrow whether they are burned as fuel or not. Another clean source is the recently purchased Winooski Hydroelectric Dam, a small hydro project developed by environmental pioneer John Warshow, who died last month. The dam produces 7.4 megawatts. Ironically, while some environmentalists have been developing small dams, others have been campaigning to tear down small dams around the state. The Newport 11 dam was recently removed from the Clyde River and other small dams are under fire. The strategy resembles one pursued for years by the Sierra Club, which favors small dams globally but campaigns to tear them down locally. Warshow developed three other small dams around the state. As for wind power, the BED states as follows: “A small wind turbine is located at the Pine Street offices of BED and serves as a demonstration project designed to determine how much electricity can be generated from the Wind at the lake-front site.” BED does contract for wind electricity generated in other parts of the country. Finally, the BED admits employing “gas turbines [of] up to 25 MW, primarily used as a peaking unit and in emergencies.” The progress of solar energy has been slow. Burlington put solar collectors on the roof of is airport terminal and Rutland has built a 2 MW solar farm on an abandoned landfill. In The New Yorker uber-environmentalist Bill McKibben recently described the Borkowskis, a Rutland couple who had Green Mountain Power do a completely energy overhaul on their century-old home and install solar panels on the roof. The couple cut their carbon footprint by 88 percent and financed the improvements through their electric bill. But McKibben admits that with initial costs sometimes approaching $20,000, such one-at-a-time improvements could take a century before they start to have an effect. In the interim, Vermont is finding – like California and Germany before it – that the fastest way to a clean energy future is to close down local sources of power and import it from other regions. California gets more than half its energy from neighboring Arizona, Nevada and Washington State, the largest import energy bill in the nation. Both New York and New England are looking to Quebec hydro for future clean power. One other item: McKibben and others are recommending the substitution of electric heat pumps for gas and oil in home heating and hot water. The electric companies must be licking their shops at the possibility of adding those two items to their monthly bill.